For me, November 14th will always be a special day. Today is the 16th anniversary of my grandmother’s death. ‘Non’ was in her late 80s when she died. I was in Indiana learning to be a cardiologist, she was at home in Windsor Locks, Ct. I have written about her love previously—as an infant blogger. Non was beloved by all that entered her world. Her kindness was genuine. This was obvious. She taught us much of the practical-ness of life. That “you caught more flies with honey than with vinegar,” for example. This one I need to remember more. And even on her last day, Non taught me. 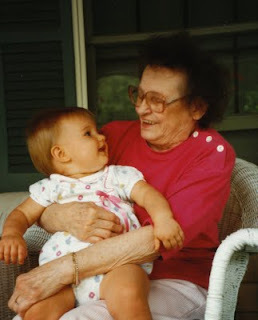 Her final illness was my first exposure to the challenge of end-of-life decisions. She was a strong and vibrant women. After her kindness, Non was most known for her physical prowess; one of those remarkable elderly who could work endlessly in the yard. Sweeping. Why so much sweeping? In that era, in a decidedly euro-catholic family, things like “goals of care” were not overtly discussed. They were understood though. Non’s final chapter was short, as if someone was looking after her. Unfortunately, the chapters leading up to her final chapter were more drawn out. Atherosclerosis (hardening of the arteries) besieged our beloved grandmother. Neck arteries, heart arteries and leg arteries were all affected. There was none of what we have now: no Plavix, no stents, no squishers. Her belly started hurting. Out of the blue. A miserable pain, we were told. She cried. So did we. On a land line, before the era of perpetual connectedness, I was told that the diagnosis was bowel ischemia/infarction and the two options were comfort care or surgery. A decision was needed. She was crying. So were we. I was a only a first-year cardiology fellow (my wife a medicine intern); there was no such thing as palliative care or hospice, but we knew the right answer. For years after, our grandfather questioned that decision. After 59 years together he was conflicted. But gradually, even Gramps came to know that Non in a nursing home, Non with tubes, Non with pain, or Non not sweeping the driveway for no reason, would have been far worse. That the plane went faster and I got to hug her before she was gone. If I had children sooner they would have known her. They would have known the deepest kindness I have ever witnessed. I hugged her for all of us! Great Post! I miss her EVERY day.